So, I've been trying to figure out what I can use this Silhouette Cameo for. The box claims it will cut fabric. 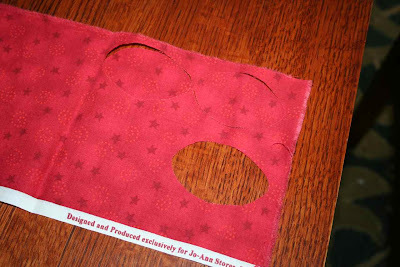 I have a bunch of applique projects I'd like to make, so my next test was cutting fabric. The paper manual that comes with the unit does not tell you how to cut fabric, but it does mention being able to cut canvas, so I had to go google searching. I'd really like to make my projects with linen—as they did in period—so I started with a linen scrap. I will say, for this project, the super aggressive sticky mat was useful, but it still wasn't quite enough to keep the fabric in place. I tested the linen three times with different settings; it didn't work. This was the most successful test. It did score the fabric, so if I was desperate I could finish the cuts with scissors. Admittedly, I didn't really expect the linen to work, so I wasn't surprised when it didn't. That piece missing originally looked scored like the other two ovals; I took my embroidery scissors and snipped the piece out. Again, when you dig deeper, you find out in order to actually be able to cut fabric, you have to buy their Clean Cut Fabric Interfacing and first apply it to the fabric. The cost: $8 for a 36"x17" piece. So, if I was doing a large project—like a queen size iris quilt—this would add more than $16 a yard to the material cost. And, I don't particularly want a permanent interfacing on the back of the fabric. 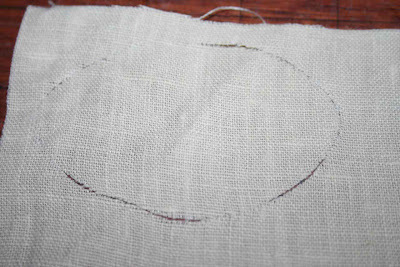 I need to be able to turn under 1/4" around the edges to sew down the piece. Though, I have not purchased the $8 fabric interfacing Silhouette sells; maybe once you're done cutting the fabric it will remove easily. I don't know. I'm getting so I don't care enough to try and figure it out. So, there you have it. The Silhouette Cameo is not a magic machine that cuts fabric and reusable stencils. If you want to cut paper products and one-use stencils (and are willing to pay their high cost for their vinyl), it is an amazing tool! Mylar or fabric, not so much. This stupid thing could very well end up on craigslist shortly. I am so disappointed about wasting more than $300 (including the software upgrade) on it. And I'm sorry about the rant for folks who have NO interest in this machine. I'm mostly frustrated because I spent so many hours researching this before I bought it, but the information just isn't out there about what exactly it would and would not cut, so I felt a need to share my results which differed so much from those implied in other websites and chat forums. Maybe I can spare some future person from the disappointment. Update later: I have had somebody tell me that I should have done more research before trying to cut fabric. Well, I'm not sure what further research they wanted me to do. I read the manual that came with the machine and it did NOT provide any information on cutting fabric nor did the Cameo website. Why should I rely on other bloggers to tell me how to use it? How am I to know which folks got their machines for free and are therefore biased? I am not in the business of selling Cameos, so I do not apologize that I might be harming their sales by advertising my failure to get their machine to work. If they'd like me to remove these posts, then they can take my machine back and refund all of the money I wasted on it. Sorry, it turned out so disappointing. Don't worry about the rant. Many bloggers have "raved" about this machine, probably because it was given to them for free. You don't suppose those opinions were biased, huh? I use freezer paper on the back of my fabric to cut my applique pieces. No need to buy the expensive silhouette product. Thank you for the suggestion. I will definitely try that. Thank you! I will buy a can of heavy spray starch. 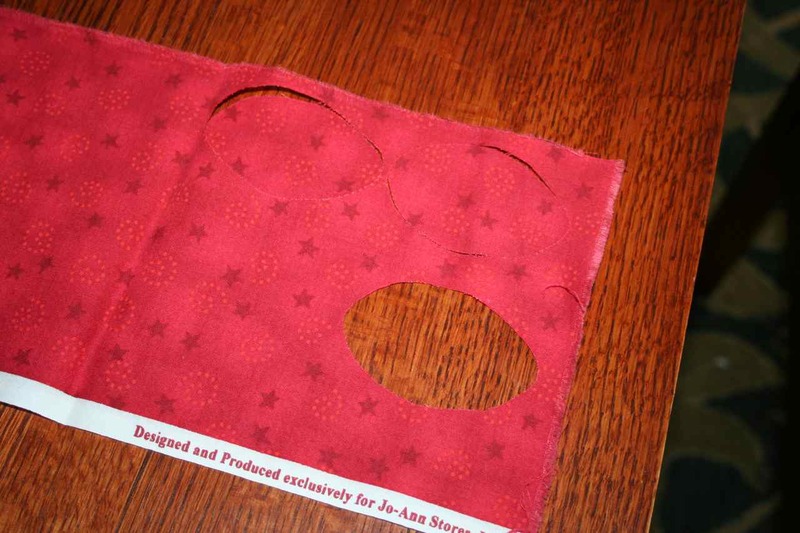 Your suggestion is definitely worth trying, because I really don't want to use interfacing. Starch, at least, will wash out. very sorry your silhouette isn't what you'd hoped. I've had a cameo for about 4 months now and I love it. (not a blogger that received it free - paid for it myself...) I've done a lot of paper cuts and vinyl with mine. Got the vinyl mostly from a local sign shop for around $1.50/sf. yes, you can find it cheaper online, but I prefer walk in and can see and touch before I buy, plus there's the instant gratification. for single-use stencils, I bought some ugly contact paper at dollar tree for a whole buck - think it was about 4sf. used it for glass etching projects and it was magical. I am with you on not being happy with the Cameo machine and it's software. I've taken 2 classes from the Jessica Sprague site and find it so complex (the software). It's just very cumbersome to work with... for the occasional card maker and scrapbooker...really the Cricut machines are so much easier to work with as well as their Cricut Craft Room software. I'm sorry I got swayed by others that this machine was so wonderful. I have a cameo, but I don't buy the products from Silhouette unless they are on sale for next to nothing. I found a great place that sells vinyl much cheaper and you can do bulk orders too. H&H Sign Supply is awesome and I've been very happy with them. And I use contact paper for transfer paper instead of buying expensive stuff made for transferring. Works like a charm. And I've heard you can use it as stencils too. The only thing I can't find cheaper anywhere else is the adhesive backed card stock, but that is not a necessity. I have been very happy with my Cameo, but like I said, I don't buy their products. I google alternatives and go with that. Have had my Cameo for 6 months now. I upgraded from a Cricuit Mini and at first my thought was to pack it back up and send it back. Paper would tear, the print and cut option wasn't working, which was the reason for my purchasing this machine to begin with, and at times the machine REALLY messed up and started acting erratically. I emailed customer service and they were VERY helpful! I told them of the problem I had with the machine acting up and they suggested that I save my project and close, then reopen. It worked! Apparently the program had something conflicting in memory....They also helped me out with calibrating my Print and Cut and understanding the speed and Thickness settings on the machine. This is key to cutting!! I have since made several projects with my Cameo....I LOVE it! Just remember, the "Test Cut" button is your friend! If it doesn't do well on the test cut work with the speed and thickness until you get the desired cut! I don't use any of the extra expensive stuff Silhouette sells, except their mats and blade refills. You can use any interfacing, and when you don't want interfacing, I have just read that you can use a heavy starch, maybe twice, that will then wash out of your quilt. I also by big vinyl sheets at Joann Fabrics...cheap and remove cleanly as I use them for fun seasonal decorating. I do both sewing, modern quilting, and crafting, and use this machine. Hope that helps! I DID NOT get one free, I am NOT a blogger. I am just a mom who makes things for family and friends, no business. I feel your pain! I just received my Cameo last night and tried it out with disastrous results and found the user manual sorely lacking. I spent the past week reading online blogs (CleverSomeday being my geeky favorite) and downloaded the software and have been using it and printing out the results. Cutting is completely different from just using software and reading. I was hoping to cut fabric and bought heat n bond to iron on the back. I was hoping to cut paper and it stuck so badly to the mat, even after dirtying it up before use to make it less sticky. I spent a half hour picking off all the paper that stuck to it. While I'm frustrated, and was thinking of listing it for sale on eBay, I decided to keep trying. I was hoping to cut fabric monograms but now that I see all the HTV that's out there, might try using that if it's easier. Thanks for the write up and I hope you have found a good use for the Cameo since it's been a few years since uour post. I ended up selling it on craigslist. Tragic, but it didn't do anything I needed it to do.